TORONTO - Premier Kathleen Wynne is making no apologies for the Liberals’ 25 per cent hydro rate cuts that a legislative watchdog warns will cost at least $21 billion over three decades. 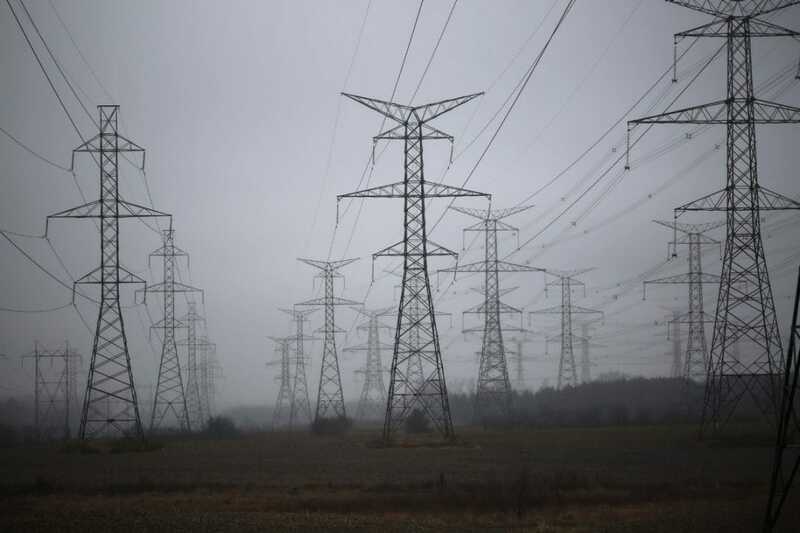 In the wake of Financial Accountability Officer Stephen LeClair’s report on the “Fair Hydro Plan,” Wynne emphasized that Ontario electricity consumers demanded and deserved relief. “You all read the newspaper, you listen to the radio and you watch television — you know the problems that families are having around the province paying for their electricity costs,” the premier told reporters Thursday in Timmins. That’s why the government moved forward with a rate cut that will see the average household’s monthly hydro bill drop from $156 to $123 once it fully takes effect next month. In a 15-page report released Wednesday, the financial accountability officer estimated the initiative would cost the province $45 billion over the next 29 years while saving ratepayers $24 billion for a next expense of $21 billion. Both the Progressive Conservatives and the New Democrats oppose the Liberal rate cut. But Wynne said the government has in effect renegotiated a mortgage so it will bankroll hydro infrastructure improvements over a longer time period in order to give customers a break now. “We’re talking about a 30-year window here. It took at least 30 years, probably 40 years, to let the electricity system degrade to the stage that it had in 2003,” she said, noting “we were having blackouts and brownouts around the province” before her party took office that year. When her predecessor Dalton McGuinty came to power in 2003, Wynne said Queen’s Park began spending billions on infrastructure improvements, including expensive subsidies for green energy, such as wind turbines and solar panels. “There’s a lot of work that has been done since then. Literally thousands of kilometres of line have been rebuilt. The coal-fired plants have been shut down. The air is cleaner. There’s less pollution in the air. The system is reliable and renewable,” she said. “My grandchildren are going to benefit from this asset, so I think it’s fair that we spread the cost of that over that 30-year period,” she said.